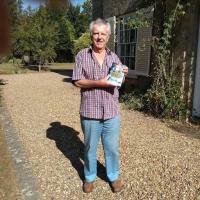 Paul Thomas, owner of Whitehouse Publishing and author of the romantic adventure, and fantasy novel Changing Colours, lives in Coltishall, Norfolk – and loves the county which has been his home and business base for more than half a century. He has been a global publicist, film-maker, former Fleet Street journalist and learned life from 17 as a cub, reporter in East London where he covered many stories in the days of the notorious Kray Twins, gangsters who prospered but nonetheless kept the East End free of “others’ evil”. “I got my degree in street wisdom thanks to them,” laughs Paul. Turning evil to good is one of the fascinating themes of Changing Colours which traces the life of a young girl growing up, targeting world success as a singer, arriving in London for a total change in her image – and what happens then? Romance, drama, mystery… and then? Norfolk journalist and publicist Paul Thomas has just published his first novel – a romantic, mysterious fantasy called Changing Colours.